The Russian authorities have decided to pursue hackers more aggressively by establishing a new Center to Combat Cyber Threats. However, experts are not convinced that such a measure will be enough. It seems the authorities have made the decision to be more assertive in taking on Russian hackers. According to the FBI, Russian hackers were behind the August break-in of JP Morgan Chase’s computer network and the communication centers of other American banks. As a result of these cyber attacks, gigabytes of client data were lost. The FBI has accused the Kremlin of supporting hackers to get revenge for the sanctions imposed against it for its actions in Ukraine. 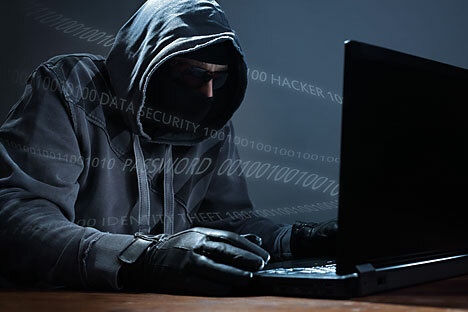 Who will stand up to cybercriminals? Experts polled by RIR fear that the state’s measures will not be enough to address a complex and growing problem. It should be noted that the members of the group that calls itself Anonymous International, which was responsible for hacking Medvedev’s Twitter account, did so on an iPhone. A representative of the group stated that an iPhone can be used in such a way that no personal information is stored, making it untraceable. Another problem is that, unlike their foreign equivalents, Russian-speaking hackers can more easily cash stolen funds. “In Europe, the United States and Asian countries, it’s not so easy to take money out at banks using cards or other payment systems,” Sachkov of Group-IB said. Specialists from Group-IB recently discovered a Russian-speaking hacker with the pseudonym Hermes, who infected millions of computers with payment tools and Internet banking systems throughout the entire post-Soviet space. Far from all Russian cybercriminals are actually from Russia. In general, they are Russian speakers dispersed throughout the territory of the former Soviet Union. After the USSR’s collapse, many IT specialists found themselves out of work and became hackers instead. Is cyber-theft a stateless crime? Alexander Vurasko, deputy director of Department “K” at the Russian Interior Ministry, which fights IT crimes, told RIR that lone hackers are gradually being pushed out of the market by secret, well-organized, decentralized groups that unite people from various Russian-speaking regions and countries. Members of these criminal societies each have their own specialization, which imparts a degree of efficiency on their activities. It is possible that in many of these groups the cybercriminals know each other personally. According to Vurasko, Department “K” is trying to send information on attackers to the law enforcement agencies of the country he or she is located in, instead of the country of origin of the victim. This prevents the need to conduct an investigation in a foreign state and trespass on its information networks. Department “K” already has been working in such a way cooperating with the law enforcement agencies of several countries, including the UK, Germany and the U.S.
Russian-speaking hackers are more and more often using foreign technical platforms to create and administer Internet resources, exchange information and recruit new members. “In these conditions, it seems ineffective to decriminalize cyberspace without establishing tight working contacts with international partners and exchanging intelligence,” Vurasko told RIR.